Whether you’re seeking a hospitality management internship, a culinary externship, international employment, or other seasonal work, there are limitless opportunities at Enchantment Resort. 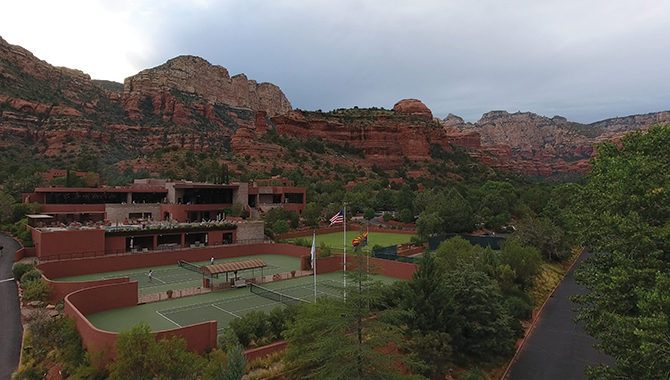 We’re seeking bright, career-minded individuals with a passion for service to join us in Sedona. Here, you’ll learn from our professional staff and gain practical experience in the competitive hospitality industry. Enchantment Resort is a premier destination for weddings, golf, and other seasonal events and activities. We hire year-round, but our greatest hiring needs are during the spring and fall. To ease your transition, we provide housing and transportation assistance whenever possible. As an employee of Enchantment Resort, you’ll enjoy staff discounts on retail, food & beverage, spa, and golf amenities. Schools we’ve partnered with to offer hospitality internships include our neighbors at Northern Arizona University, Arizona State University, and Grand Canyon University. We’ve also placed students from Denver University, Florida International University, New Mexico State University, and University of Nevada, Las Vegas. Enchantment Resort offers culinary externships to students from Culinary Institute of America, and Johnson & Wales University. These opportunities are available for all seasons, and we work with students on a case-by-case basis to accommodate school responsibilities and scheduling needs. To maintain the exceptional level of service our guests have come to expect, Enchantment Resort welcomes international job seekers to apply. We work with a number of international employment agencies, and our team members represent many nationalities and cultural backgrounds. Those with housekeeping or food & beverage experience are highly sought after, as well as anyone with a desire to learn new skills and work in a beautiful area of the United States. Do you offer seasonal or temporary employment? A: We have many seasonal opportunities available. While our peak seasons are spring and fall, we look for seasonal support nearly year-round. Do you offer H2B visa employment? A: We have many seasonal positions available and rely on both national and international candidates to help fill all of our seasonal positions. Do you hire J1 students? A: Yes! We recruit J1 Work & Travel students, as well as J1 Trainee candidates for placement in Housekeeping, Restaurants and Spa. All placements are facilitated through partner agencies that can provide the necessary authorization to obtain a work visa. A: Enchantment offers housing to employees working on a temporary or seasonal basis, or those that look to relocate and need a temporary housing solution. Our apartment complex in Clarkdale, Arizona offers both furnished and unfurnished 2 bedroom apartments, in shared or private configurations, subject to availability. Each apartment is inclusive of utilities and transportation to and from the resort. Bent River Apartment complex offers an outdoor pool, open seasonally, for tenant use.